The design process is arguably one of the most important phases of your project. Below are design resources that can help your project be cost-effective, safe from piracy, reliable for the long run, highly developed, and intricate. When searching for a low-volume assembly shop to populate your boards, it may be tempting to use a low-cost shop to save money. However, doing so may cost you more damage in the long term due to reliability concerns and possibly a damaged reputation. With thoughtful planning, you can use design principles to bring the price down while still using a high-quality shop. Download this whitepaper to learn seven cost-saving steps for your next design. Engineers must determine the method of assembly early on and design the product to be compatible with it in order to maximize productivity and efficiency. This makes the design stage arguably one of the most crucial decision making periods. Massive savings can be obtained by predicting assembly bottlenecks and designing around them. 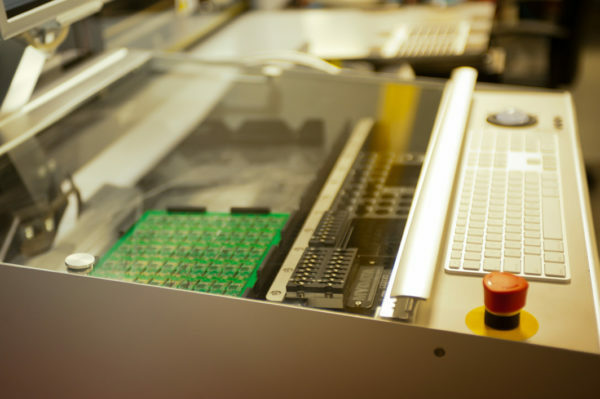 Learn more about Design Guidelines for Effective Automated PCB Assembly. “I don’t mind if someone pirates copies of my electronic designs” – said no one ever. Not only is it extremely frustrating, but it can badly damage the credibility of your company. So the question stands: how can a company protect itself from those who attempt to copy products? Vias affect the long term reliability of a PCB. While invaluable but absolutely essential to your board, vias can introduce weaknesses and affect solder-ability. But these concerns can be minimized to acceptable levels. This article will talk about what these potential concerns are and how to minimize them to acceptable levels. While flex circuits are a type of PCB technology, they yield many benefits over their traditional PCB cousins. Fortunately, the design rules for flex circuits are similar to the rules of traditional PCBs. But there are certain considerations the designer must pay close attention to. This article will cover what to look for.